The Invisible Hand: Can Google Actually Influence US Election Results? Loud & Clear’s Brian Becker is joined by Dr. Robert Epstein, Senior Research Psychologist at the American Institute for Behavioral Research and Technology, and David Ahmad, president of Subgraph, an open-source tech security company, to discuss whether Google is reshaping our preferences in the 2016 presidential elections. Both guests suggest that Google, the world's top search engine, could proactively direct voter preferences using what they have labeled a Search Engine Manipulation Effect (SEME). According to Epstein, SEME is a means by which search results can be reshuffled in a manner that favors one or another candidate, or one or another viewpoint, perhaps depending on Google's views on who is best for the US or for the company. Epstein claims that SEME could shift political preferences up to 20 percent among undecided voters. The existence of SEME is explained in research described by Epstein in a 2015 article in Politico. He describes an experiment involving some 4,500 participants in two countries and a simulated search engine he called Kadoodle. Kadoodle imitates Google search techniques, with a limited number of pre-selected results, in the form of actual web pages downloaded prior to the study. During the study, one group of participants were given search results arranged in a manner that favored candidate A in the first pages of search results and candidate B on later pages. Another group of participants received search results arranged in the reverse. Researchers recorded participants' views toward the candidates before and after the experiment and discovered that most participants from both groups shifted their opinion toward candidates in accordance with the candidate favored by the first page. Epstein argues that search engines, including Google, could manipulate result rankings so that a candidate favored by the search engine will receive higher rankings. 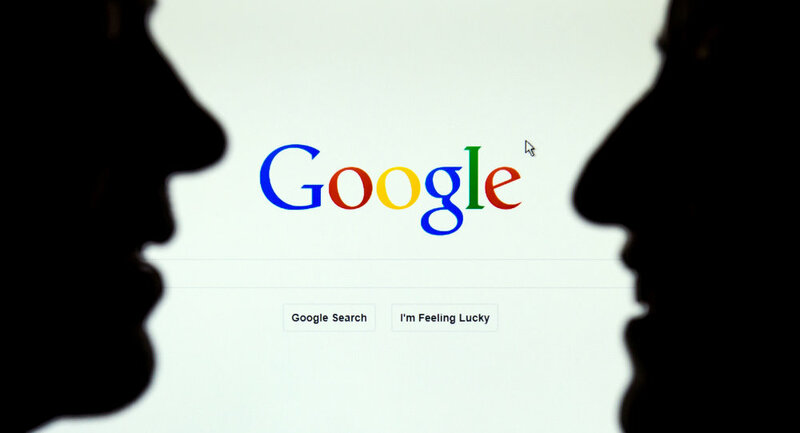 David Ahmad, president of Subgraph, an open source tech security company, adds that people contribute to the notion of search engine influence by freely providing an enormous amount of personal information to Google through its free services — precisely the kind of data people are reluctant to provide to the government, in the form of the NSA. This is true not only for individual users, but for companies and hospitals that have mostly abandoned the practice of running their own servers, in favor of Google's free options. According to Ahmad, Google's public relations department does a great job of convincing people that it "does no evil." That Google services are free propagates this sentiment, he notes. According to Epstein, since President Barack Obama took office, at least 250 people have changed top seats in the US administration for top seats in Google, some performing the jump multiple times. Google employees have made over 450 visits to the White house, much more than any other corporation, Epstein notes. Epstein states that the line between a corporations and government has become blurred. This is, he suggests, because the Google search engine has been partly funded by US intelligence agencies so as to create a "gateway" to the internet that simplifies the tracking of people and organizations, Epstein claims. "Providing relevant answers has been the cornerstone of Google's approach to search from the very beginning. It would undermine the people's trust in our results and company if we were to change course." Google's official non-answer is a bit of public relations theater any spook can appreciate.